Known as the ‘Snipe of the woods’, Woodcock is an elusive, wading bird found mainly in woodlands. It is a thick-bodied, pigeon-sized bird with a long bill. Its beautiful plumage provides almost perfect camouflage when it is on the ground, motionless in leaf litter. Rarely seen on the ground it is the rufous rump that is most striking when the bird is flushed into flight. Woodcock is a crepuscular bird, most active at dawn and dusk. It feeds by probing its bill into damp ground, eating mainly earthworms and beetles. It is during its breeding display flight, known as roding, that Woodcock is most frequently seen. Males undertake roding flights between April and June. The male will patrol a large area, flying with rapid wingbeats over the tree line, overlapping with other males as they compete to attract the attention of females. Female Woodcock have occasionally been seen carrying their young chick tucked between legs and body, often with the tail as additional support. Woodcock has been hunted and eaten since Roman times. Its pin feathers (at the base of the leading primary on each wing) were used widely for various purposes including drawing the gold stripe down the side of a Rolls-Royce car. The nocturnal habits and cryptic nature of this species makes it difficult to monitor the breeding population using our traditional survey methods. 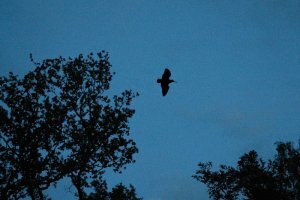 A special survey for Woodcock has been devised, which uses the counts of the territorial roding flight, passes undertaken by males at dusk and dawn, to estimate the number of individual males present. Woodcock is a widespread breeding bird in Britain and Ireland that is adapted to both deciduous and coniferous forest. In autumn there is an influx from the Continent, outnumbering the British and Irish population 5 to 1. During winter, it is estimated that up to 1.5 million individuals may be present in Britain and Ireland; mostly originating from northern Europe and western Russia. In 2003 the population was estimated at 78,000 males, providing a baseline against which to assess future population change. Woodcock breeding distribution covers much of Britain and Ireland, however the recent 2007-11 Bird Atlas indicates a considerable 29% reduction in range since the 1968-72 Breeding Atlas. The current breeding range is less than half its 1960s extent, supporting other evidence of long term population decline. The reasons for the decline are unclear but may include recreational disturbance, drying out of woodlands, increased browsing by deer, declining woodland management, and maturing of new plantations. Woodcock is listed as a bird of conservation concern as part of a wider breeding population decline in Europe. Thanks to the help of our volunteers, over 800 randomly selected sites were surveyed in 2013, and here we provide an insight into the preliminary results. Occupied sites appear to be clustered around areas where large wooded areas remain, such as the New Forest, Thetford Forest, the Forest of Dean and Kielder Forest. 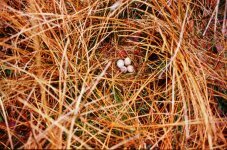 In conjunction with GWCT (Game and Wildlife Conservation Trust), further analysis is under way which will examine changes in Woodcock abundance from 2003 to 2013 to produce new national population size estimates. 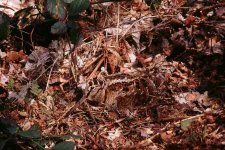 We will use the survey results, combined with habitat information to examine potential causes behind different regional trends in Woodcock numbers and distribution. 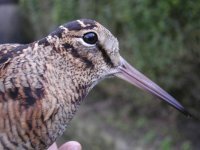 Read the preliminary Woodcock national survey and roding count results. If you took part in the 2013 breeding survey, please do consider re-surveying your square again in 2014 (May-June) and help us monitor this declining species.